Mordian 7th Regiment: Dreadtober 2017 - The dreadnoughtening! Dreadtober 2017 - The dreadnoughtening! It's that time of year again! Dreadtober 2017 is shaping up to be a big one - Hobbyist extraordinaire and all around fine fellow Todd Sherman has taken up the gauntlet to help run this years festivities, may the Emperor take mercy upon him! Naturally I didn't think my cunning plan all the way through and just days before the event was to begin I finished up the Sons of Horus dreadnought I'd been working on. Can't claim that as a success, so I cast my eye across the shelves and it settled on one of the leftover models from the recent Thousand Sons force that had never gotten beyond the build stage. The beautiful Osiron dread never quite fit into the force as by the time I'd settled on the Orbital Assault list, the Dreadnought Drop Pod had gone out of production on the FW site and there's been little to no word of its return. 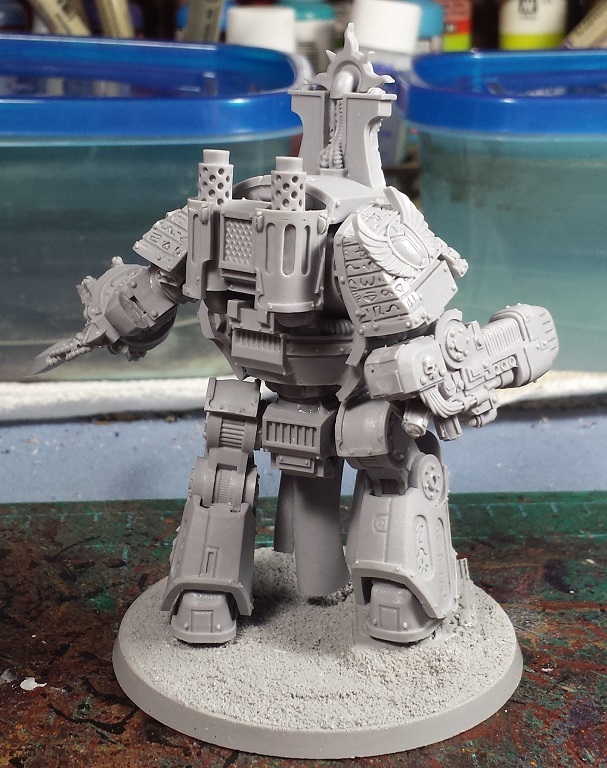 Looks like we have our dread to work on for Dreadtober! Todd has set up a blog to help track all the awesomeness at https://dreadtober.blogspot.co.uk/ - go check it out, and by all means if you have a dread you've been wanting to finish (or dread finishing) join in the fun! So that'll be the start of what-your third Sons army? "Dread finishing". Ha-ha, bonus points for the pun! In reality though I am looking forward to seeing you put paint on that beauty. Remember Dreadtober is meant to last a month. @Da Masta Cheef: Hah, technically it'd be the fifth! O wow - that might have to be my fav thus far of the legion specific Contemptors. So much cool detail. Going to be a fun one to watch mate! @Dai: Aye, between this one and the Sons of Horus one, the designers really knocked it out of the park! Dreadtober 2017 - Osiron Dreadnought Complete! 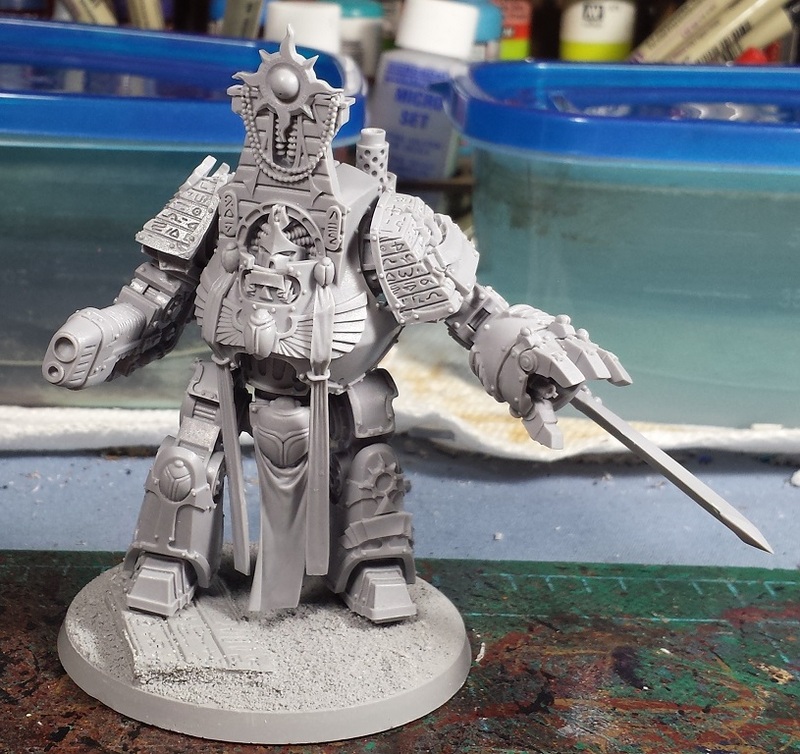 Heresy Era Sons of Horus - Forge Lord built!